This question is aimed at people who have a really good grasp of standard Slitherlink puzzles. This is a standard, square cell, 10x10 Slitherlink puzzle I designed. It isn't what I would call a "true" Slitherlink puzzle, though. 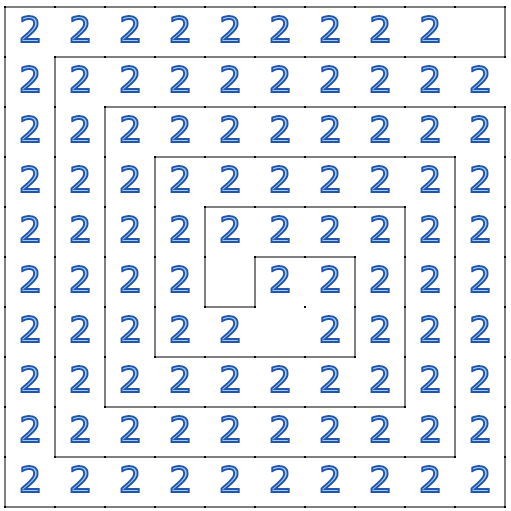 A true Slitherlink puzzle has as its solution exactly one closed, non-intersecting "loop" that goes along the grid lines between the numbers, and satisfies the numbers in the cells: each number has the loop bordering its square on exactly that many sides. 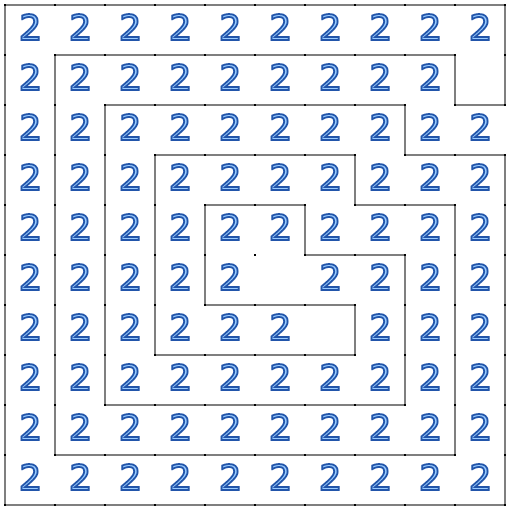 It may surprise you to find out that this puzzle can become a true Slitherlink puzzle by removing some of the "2"s from the board. What is the least number of twos that need to be removed in order for this Slitherlink to have exactly one solution? Anybody could stumble upon the answer, so if you post an answer below, you must explain why it cannot be less than the number you found. 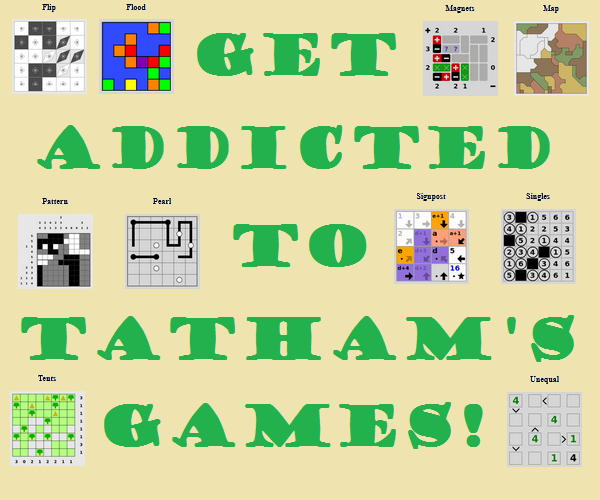 The above image was taken from this website which contains a powerful SAT solver for Slitherlink puzzles. I consider it fair to use such a solver for this question, but you still have to explain what is going on. There are more questions I can ask on the topic of Slitherlink puzzles made just from twos, so if there is interest... there's more where this came from. 2. The inside loop end will require one square to have three sides, and another to have either one or three sides (one side would mean that the center loop will be bigger). 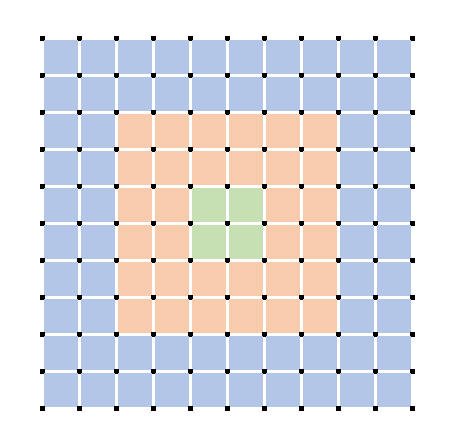 Because of the grid size being a square, the inner loop will need to have one square with only one side, as you can see from the failed example above. 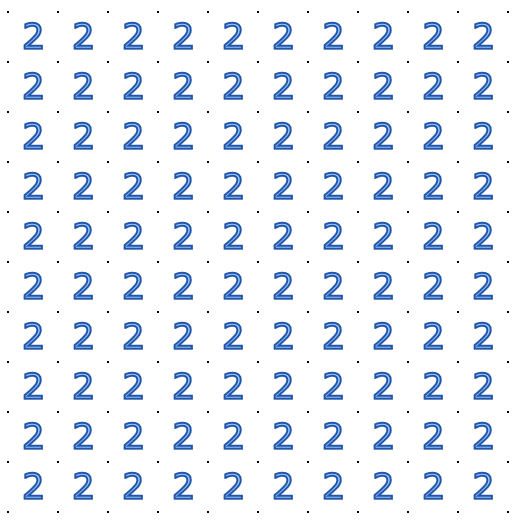 As an aside, I would posit that any Slitherlink puzzle of this type with x rows and y columns would have a inner loop with two three-sided squares where x = y, and one of each of one-sided and three-sided squares if x = y + 1 or y = x + 1. - In this case, move diagonally from that corner inwards to the fifth two, and remove it. Then, move diagonally one square towards either corner not opposite the beginning square, and remove the two there. - This method produces eight possible answers, two for each corner. 2. Remove from a space adjacent to a corner (not diagonally). - Move diagonally from the square you've removed a two from towards the center to the fourth two, and remove it. Then, move one diagonal space towards the closer non-opposite corner, and remove the two there. - This method will produce eight answers as well, one for each space adjacent to the corner, with two of those spaces available for each. The removed twos follow some oddly specific rules. The first one, I think, is fairly obvious to anyone who solved the question. The second rule is stranger and I can't really claim to understand it. The three removed twos each need to be inside their own "zone" as shown here. 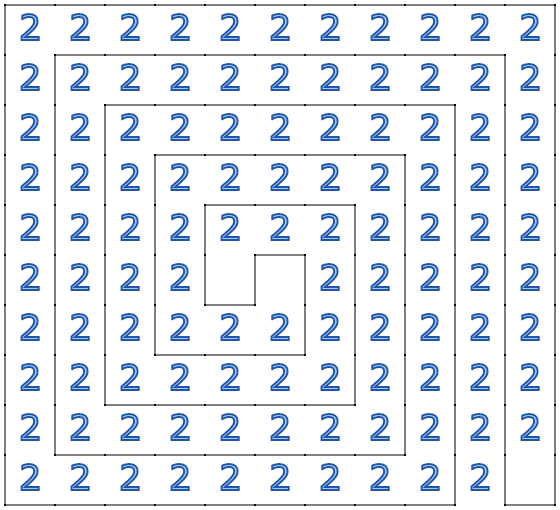 The puzzle with all twos wants to make concentric rings, so I think of it as disrupting different levels, thus allowing the lines to connect into a single loop. 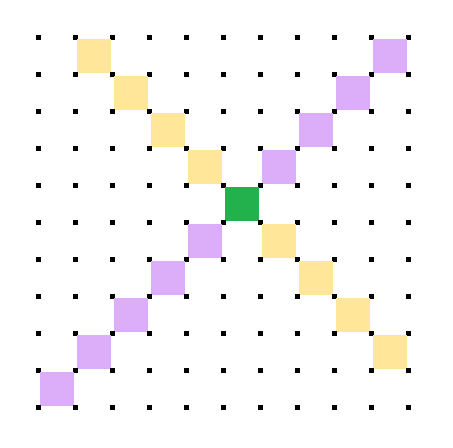 If you start by removing the two that is one of the four center cells(shown in the previous image in green), the remaining twos must be taken on the two diagonals(shown in yellow and purple below). Using those two rules it doesn't always get you a solution, but all solutions follow those rules, so far as I can tell. I assume there's a good reason, so that's another question anybody could feel free to tackle. Not the answer you're looking for? Browse other questions tagged grid-deduction slitherlink or ask your own question. This puzzle design was a DISASTER!